I wish I had a good answer for you, but unfortunately I don't. I think a trusted vet is probably the best person to ask about this. The below are just some general things that I do or would do with my own dogs. This won't apply to all dogs. And note the title of this post is *safer* dogs chews. Not *safe* dog chews. Nothing is 100% safe. In my previous post on this subject, I wrote that the bones of large ungulates can be problematic for many dogs. But what about other bones? Most people would probably agree that any type of cooked bone is dangerous. There is tremendous disagreement about the safety of raw bones. I have given my dogs the "soft" bones of fowl and rabbit (bones covered in meat). Others are comfortable feeding lamb, goat, pork, etc.. Pet parents should do their own research, check with their vet, and exercise caution. I have fed my dogs poultry neck bones before, but I don't anymore. I think they are too boney and each of the individual bones in the neck feel quite hard and jagged. 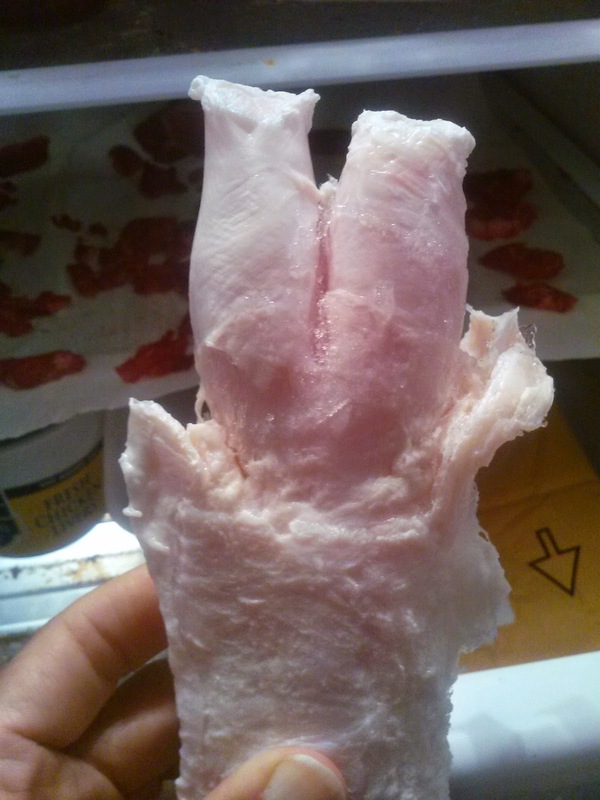 Some people avoid fowl neck bones because they consider the shape a choking hazard. There is considerable debate about problems with digestion in dogs who are fed both raw food and extruded kibble. It might be problematic for some dogs, but in general I doubt it's an issue. I'm not concerned about mixing raw and cooked, but I cam concerned about too much calcium. Especially in young puppies whose nutritional needs are so important. Kibble is likely to have added calcium and/or ground bones. And raw bones are loaded with calcium. A puppy who eats kibble and bones might be getting to much calcium. Another issue is constipation or even impaction from too much bone. Chewing big hunks of meat is a great workout for dogs. Once again, we have to be careful with puppies because we have less wiggle room with their nutritional needs. Mixing meat with kibble might be good or it might throw of the balance of nutrients. Some people choose a diet made of only whole foods (raw and/or cooked). Raw vegetables can be a safe*er* chew for some dogs. And they don't add many calories. But raw veggies can cause tummy issues in other dogs. The best crunchy vegetables - carrots, sweet potatoes - are also loaded with sugar which could build up on teeth. Brushing might help keep teeth healthy. Before adding vegetables to your dog's diet, check with your vet and check the ASPCA's poison plant list. Food puzzles are a great way to help dogs work for their food. Many don't really satisfy chewing needs though. The video below shows my dogs using various food puzzles. Kongs might be a safer alternative to Twist 'N Treat. 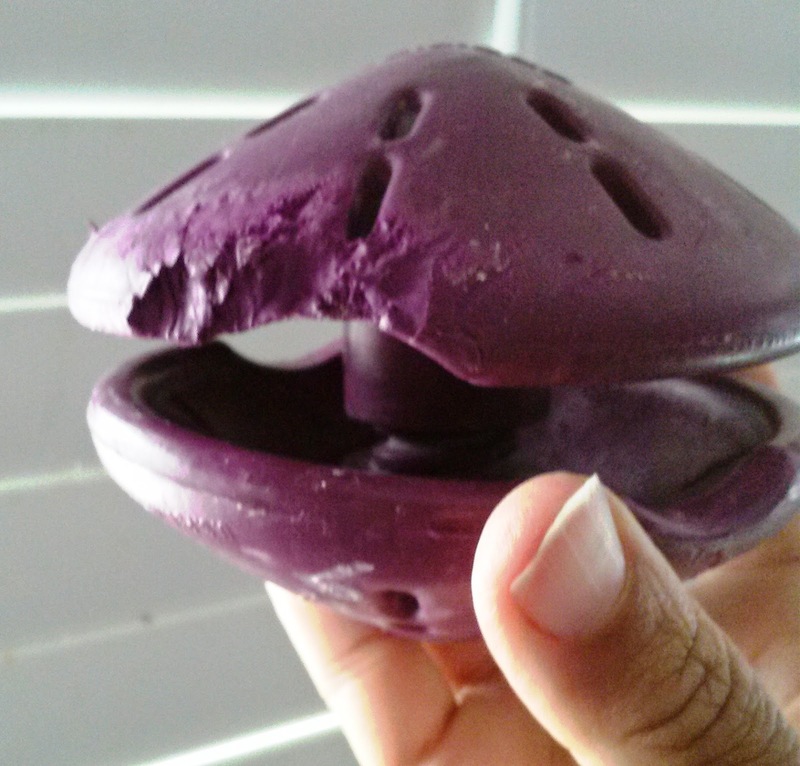 But I have heard of dogs chewing up Kongs; and I've heard of dogs getting their mouths stuck inside the holes. Suzanne Clothier rights about scary encounter her dog had with a Kong. See her article here. Another way to tire dogs out is to let them search for their food. See the video below. Be aware of insects and vermin. While raw hides probably are more problematic, I'm not a fan of any of the above. (But I did find some fresh tendons that I liked - see below). Pet parents will need to weigh the pros and cons. Chewing on a piece of dried trachea might be safer than eating the sofa. But follow the safety precautions listed in my other post. Observe carefully, take away small pieces, etc.. There are various toys made for chewing (like nylabones), but I'm not a fan. If they are soft enough to chew, Puddin will eat pieces off and swallow them. If they are too hard to bite pieces off, then I'd have the same worry as I would with antlers and bones of large ungulates - slab fracture. Some of the manufactures say that their products are safe when swallowed. I don't want my dogs eating non food items.